Whether you are a printmaker, have aspirations of being a printmaker, or just want to add a new dimension to your oeuvre as an artist, then the Special Editions Residency Program at the Lower East Side Printshop, in New York City, deserves some special consideration. The Special Editions Residency Program is a competitive award, aimed at emerging artists in America, whether they have printmaking skills, or not. The residency hopes to provide artists with the chance to explore printmaking in order to expand their creative output, and perhaps offer new ways of thinking about how they approach art making. At the end of the residency, it is hoped that the artists involved will have been able to produce a new, important body of work, having been helped along the way by experienced printers, and with full sponsorship from the Lower East Side Printshop. As well as coming away with a new body of work, artists will also be included in the Printshops annual catalogue, and have the chance to receive exposure through exhibitions at the Printshop, and further afield. 12 day-long collaboration sessions with a master printer, over a period of three to six months, as well as a production / editioning service and independent studio access. 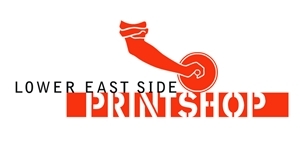 Applications for the residency must reach the Lower East Side Printshop by the 2nd December 2011 and the residencies will take place between February 2012 and February 2013. Applications are only accepted currently from US residents and only emerging artists, who are defined as under-represented and at an early stage of their career. For a full run down of the residency program, past residents and application guidelines, visit the Lower East Side Printshop website.